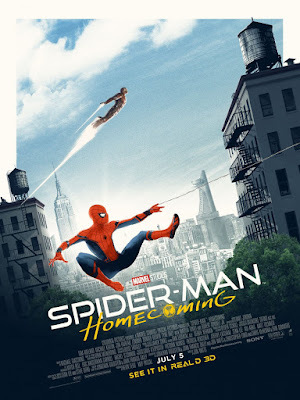 Marvel fans in the UK heading out to see Spider-Man: Homecoming this weekend for the film’s big opening should be sure to see it in RealD 3D at one of Odeon Cinemas’ theaters. That’s because Odeon will be giving away this awesome Spider-Man: Homecoming exclusive movie poster by Matt Ferguson to everyone in seeing the film in RealD 3D all weekend long! Ferguson has been killing it lately with his awesome Marvel movie posters that different movie chains around the globe have been giving away on each film’s opening weekend. If you’re lucky enough to score one of these posters please let The Blot know so I can be super jealous of you!